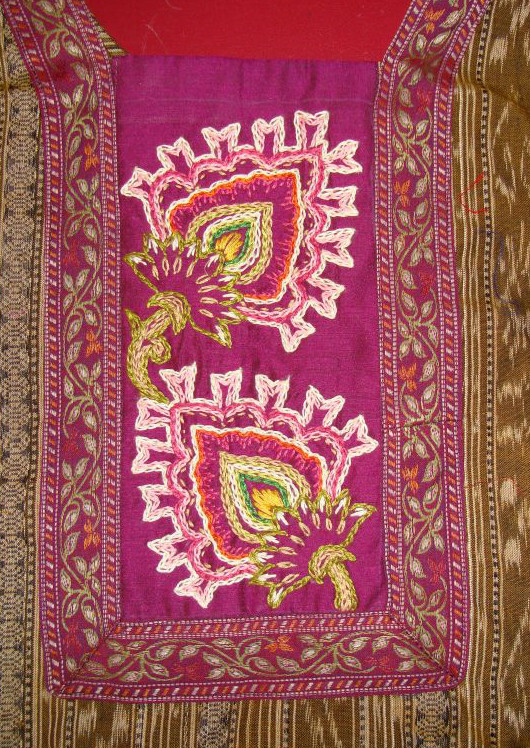 The ikat fabric was bought at a sale in Chennai. There was an exhibition of woven and embroidered fabrics from Indian states at Valluvar Kottam complex. My sister in law wanted to see the sarees that were on sale. 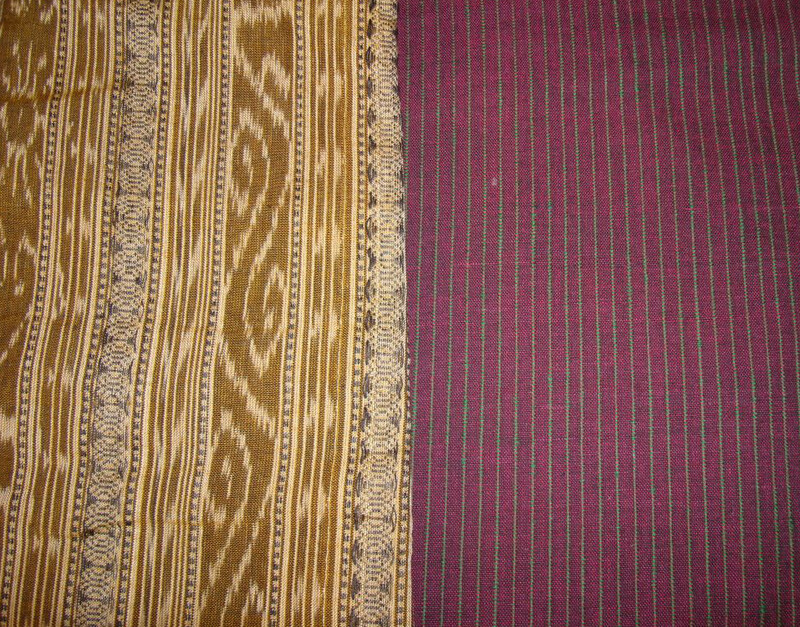 But I bought two ikat fabrics, while she did not buy any. These fabrics were intricately woven and they were expensive, but worth for the work done. 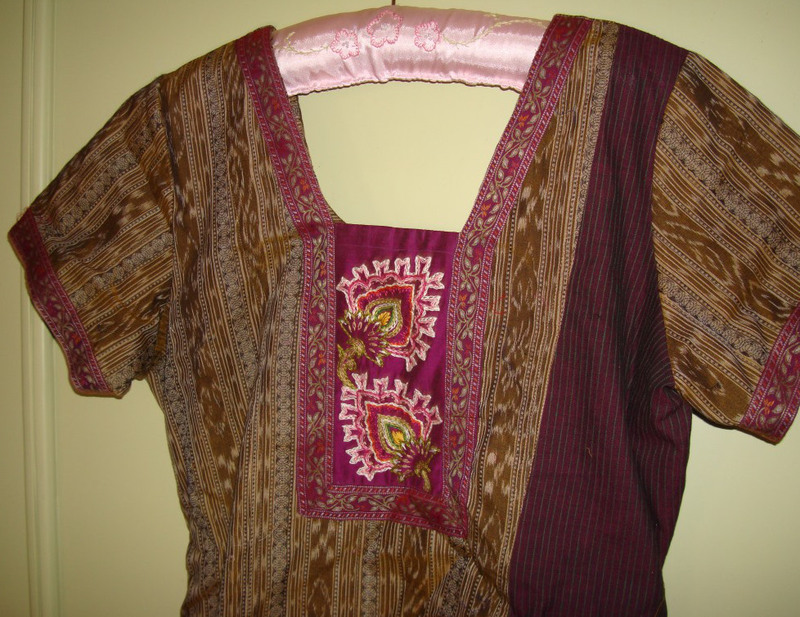 This ikat I matched with antique violet handloom fabric with woven stripes. I had with me this woven border fabric. 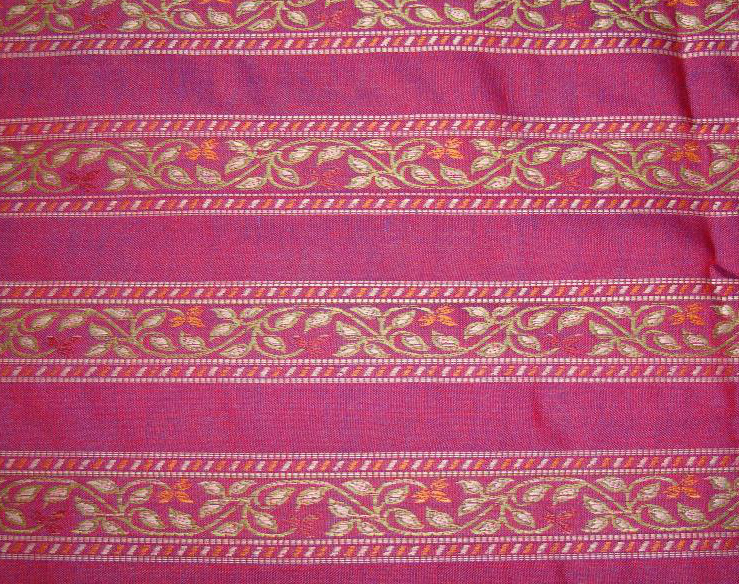 This was used for the sleeves and front of the tunic. 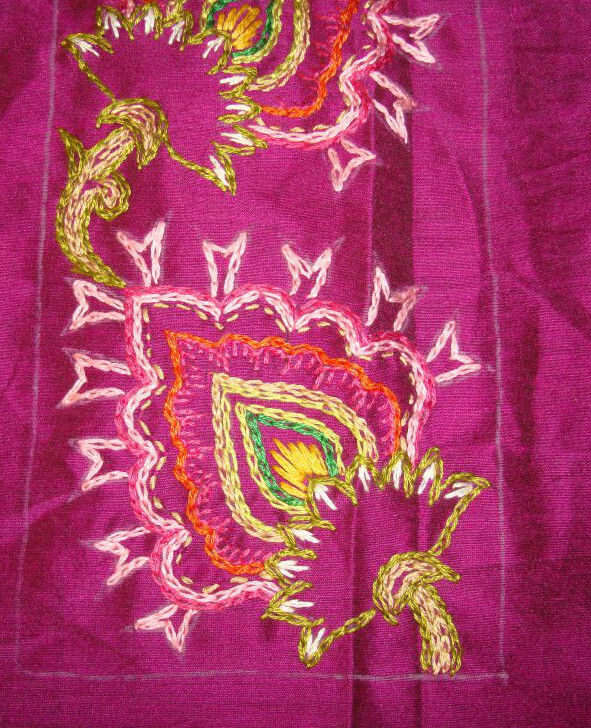 Traditional Indian motifs were drawn for the embroidery. Surface embroidery stitches- fly, chain, straight, buttonhole, running stitches were used. This picture is of the embroidery detail before working the outlines in white. Cotton skiens were used for this work.